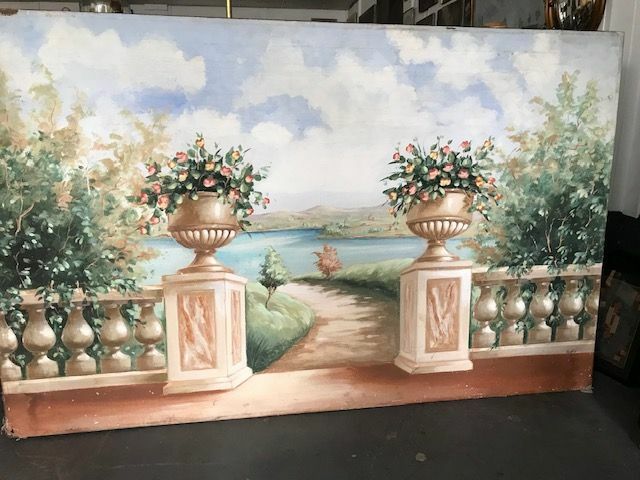 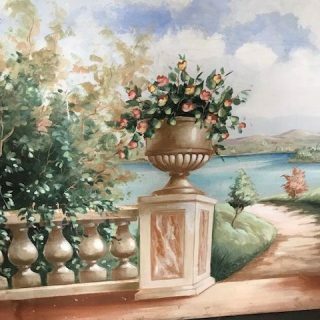 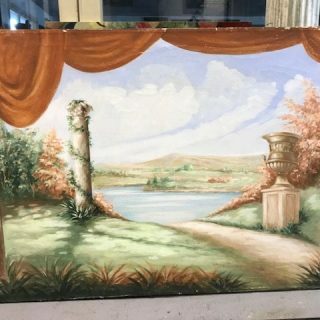 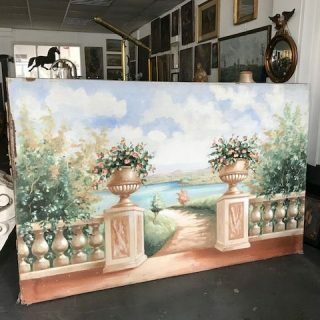 A large canvas painted with a classical backdrop scene showing a panoramic view from the stone balustrade of a palace. 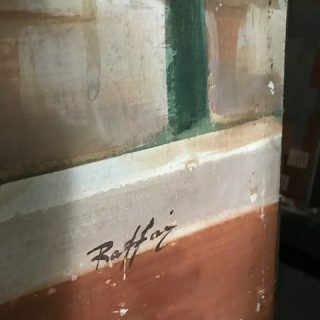 Of Italian provenance, and indistinctly signed “Raffaiy”? 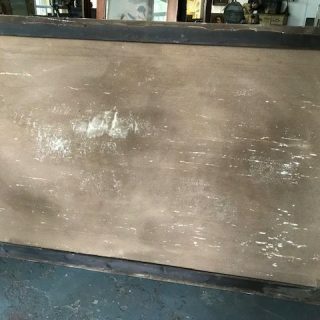 A wonderful piece of fabulous decorative impact.